Our summer works project at University of Suffolk has been successfully completed. We have successfully handed over our £3m new build Arts Wing Building at The Stanway School, Colchester. Today, we successfully handed over our £450k design and build Contract to Essex County Council at Stebbing Primary School. 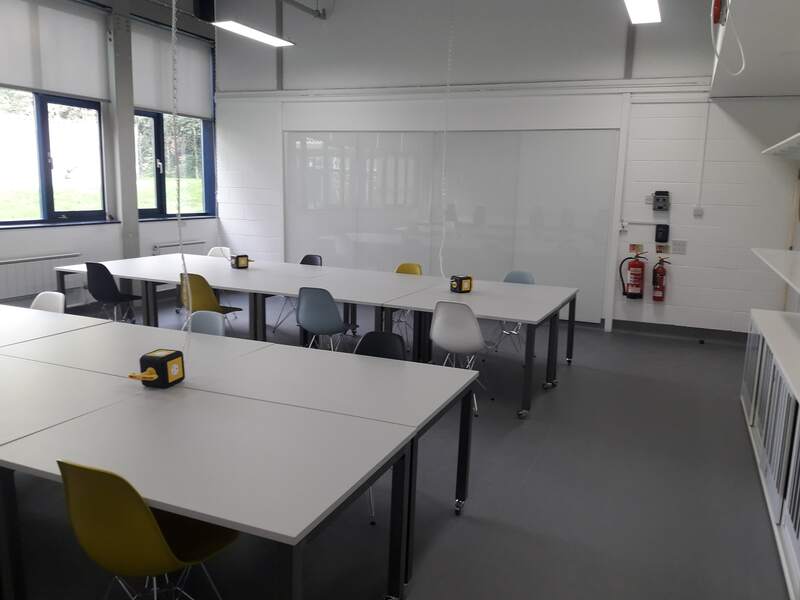 Our works involved the construction of a new teaching base, SEN room and WCs which have been delivered to programme and budget. We are pleased to announce that our project at South Woodham Leisure Centre for Chelmsford City Council has been shortlisted for the LABC Award for Most Inclusive Building. Following on from our successful ground breaking event, we have now completed the foundations and commence the steel structure in the coming days. Last Friday, our Construction Team working alongside Archer Building Consultancy Ltd joined with Staff and Students of Hertfordshire and Essex High School, local sports clubs and members of Hertfordshire and East Herts District Council, to celebrate our exciting new collaboration. The groundbreaking ceremony marked our official start of our construction work. By the completion date, scheduled for this winter, Herts & Essex High School will have gained a brand new and much needed sporting facility which will be not only of immense benefit to their students but, by creating a partnership with several sporting bodies locally, will also be a great asset to the community as a whole. We continue our collaborative relationship with the school following our appointment on the £890k Gym Refurbishment Project. We look forward to delivering the works with the team. Congratulations to our Construction Team who delivered the Chislehurst & Sidcup Music & Drama Block Project. They attended the Considerate Constructors Awards and have been awarded a Bonze Award. Well done team, keep up the good work and high standards. Description of Works: The Works comprise of the erection of a new steel framed sports hall with changing and WC areas. The new build works will include general fit out, specialist fit out of sports equipment, mechanical and electrical installations, external services and external works. The works also include the formation of a multi-use sports surface. 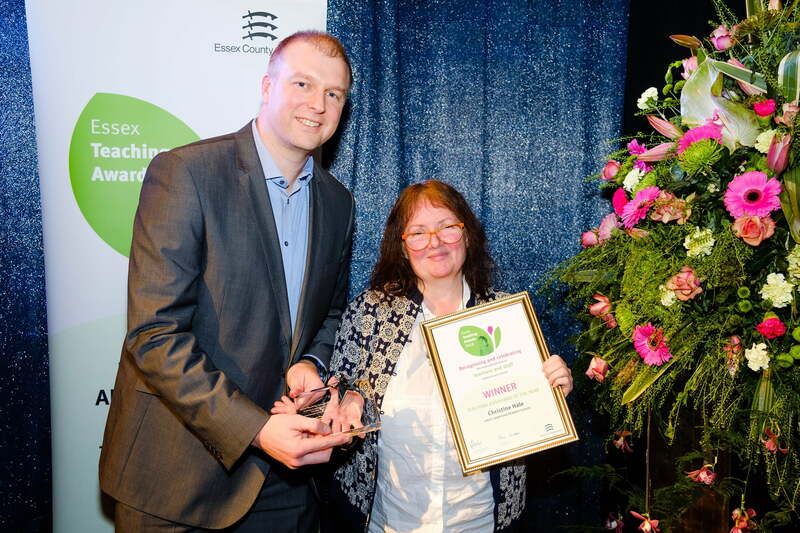 We were very proud to have sponsored the ‘Teaching Assistant of the Year’ Award at this year’s Essex Teaching Awards. We would like to congratulate the winner & all the nominees for their well earned recognition. Congratulations to Kenny Gunner (Site Manager) for achieving his Level 3 in Leadership & Management for the Construction & Built Environment Sector! Congratulations to Stuart Drake (Project Manager) and Gavin Salmon (SHEQ Manager) for achieving their Level 3 in Leadership & Management Practice for the Construction and Built Environment Sector. We are pleased to announce the recipient of the June Health & Safety Award is John Smith. John has demonstrated an outstanding attitude towards working safely is leading by example. John is pictured receiving his award from Tom Thwaite on our Longwood School project in Harlow. Ivor Goodside visited our site at The Phoenix School Basildon continuing his safety campaign. On the 24th March team manager Brian Knight will be leading an all-star Beardwell team in a football match against the staff of Stanway School. Brian has promised that his unique motivational style will lead to victory. The game will be raising funds for the Head’s charity Hand in Hand. Hand in Hand is passionate about giving children born in poverty a hope for the future. Our ultimate aim is for each child’s life to be transformed and the cycle of poverty to be broken. Thank you for fundraising for Hand in Hand! We work through grassroots projects lead by local people who are passionate about seeing the cycle of poverty broken. From the beginning our work has been a team effort with partnership at the heart of all that we do. We are dedicated to seeing children born into a life with no hope through no choices of their own, given a future. When Hand in Hand began we made a bold promise that every pound that you donate will go directly to our project partners’ transformational work. Thank you for sharing our vision, together we really are making a difference. Congratulations to David Beer for receiving an award at the first ECTA Trainee Awards lunch. David is one of our Apprentices and he is currently working towards his Level 3 in Carpentry. Keep up the good work David. Royal Hospital School Holbrook has been successfully handed over. Well done to David Waters and all the team. We are proud to be associated with the re-modelling of The Atrium at University Campus Suffolk, which opens to students shortly. RA Butler Academy successfully handed over. Well done to Jim Woods and all the site staff ‘for the professional way they have carried out this project’. Well your surname certainly suits you, you are indeed a knight. It was lovely to meet you and the electrician (didn’t catch his name) today. We are absolutely thrilled that you are prepared to give up your time and possibly some resources to help our project. It really is people like you that keep charities like ours running so that we can support the community. We were very please that Brigita, Stuart and James were able to collect a Gold Award on behalf of the whole Chislehurst & Sidcup 6th Form Centre project team at the recent National Considerate Constructors Scheme Awards held in London. This is a fantastic achievement as we were predominantly ranked alongside major national contractors and recognises the excellent standards that were reached on this project. Congratulations to Heron Russell, who having completed his CITB SSTS training has been promoted to Assistant Site Foreman. Heron has worked upon a number of imporatant projects with Beardwell including Kingston University, St James and Grays Magistrates Court. He is currently working hard at the Woodside Academy project in Thurrock. Beardwell have again been recognised as a CHAS accredited Company the health and safety scheme assuring Clients of our high standards in respect to health and safety. Beardwell will be attending the ‘Grand Opening’ of Grays Magistrates on Friday 29th January 2016 by the Major of Thurrock, Councillor Sue Gray. The internally refurbished building has been transformed into a Office Enterprise Building for small businesses creating new jobs in the borough. The centre will be operated by NEWS (Norfolk and Waveney Enterprise Services Ltd) a not for profit organisation.